The Warrant of the Lodge is dated 8th February, 1924. Eslington Lodge was consecrated on the 9th April, 1924, at the Industry Masonic Hall, Jackson Street, Gateshead, by the Right Worshipful Bro. the Rt. Hon. Lord Ravensworth, Deputy Lieutenant, Past Grand Warden, Right Worshipful Grand Master of the Province of Durham. He was assisted by Wor. Bro. Robert E. Hale, Provincial Senior Grand Warden; Wor. Bro. Adam Dodds, Provincial Junior Grand Warden; Wor. Bro. the Revd. G F. Walters, M.C., Provincial Grand Chaplain; Wor. Bro. R. W. Ernest Dixon, Past Provincial Grand Director of Ceremonies, Provincial Grand Secretary and thirty four officers of the Provincial Grand Lodge of Durham. The twenty-five Founders of Eslington Lodge were all members of the Mother Lodge, Liddell Lodge, No.3616. Wor. Bro. Lt. Col. James Woodbury Thompson, Victoria Decoration, Past Deputy Grand Sword Bearer, Past Assistant Provincial Grand Master, Past Master of Reserve Forces Lodge No.2666, Founder and Past Master of Liddell Lodge, No.3616, Founder and Past Master of Durham Lodge of Installed Masters, No 4441, Founder of Clavering Lodge No.3290, Founder of Northumbrian Masters' Lodge No. 3477 and Hon Member of Winlaton Lodge No.4546, Worshipful Master Designate, was then installed into the Chair of King Solomon according to ancient custom. Wor. Bro. Dr. Andrew Dougal, Past Provincial Senior Grand Deacon, Past Master of Minerva Lodge, No.3385, Past Master of Liddell Lodge No. 3616 and member of Durham Lodge of Installed Masters No.4441, was invested as Senior Warden. Wor. Bro. Arthur trotter Brunswick, Provincial Junior Grand Deacon, Past Master of Liddell Lodge No. 3616, was invested as Junior Warden. An oration of “The Nature and Principles of the Institution” was given by the Provincial Grand chaplain, the Revd. G.A. Walters, M.C. The ceremony of Consecration was followed by a banquet at Hawk’s Assemblage, Coatsworth Road, Gateshead, for which tickets were available at 6/6d each. The first meeting of Eslington Lodge was held in the Lecture Hall, Ravensworth Road, Dunston, on the 14th May, 1924. 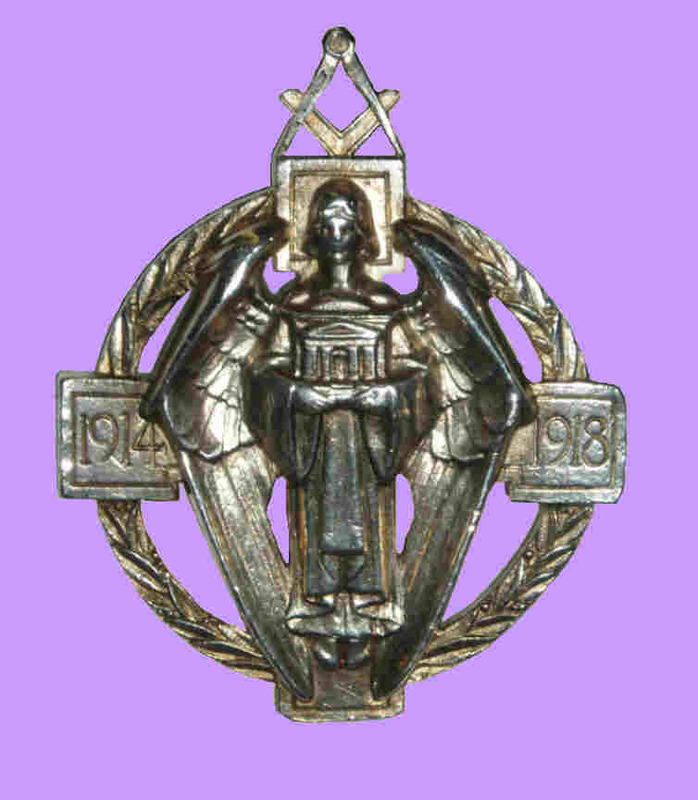 On Wednesday, 8th January, 1930, it was announced that the Jewel and the Collarette, making Eslington Lodge a Hall Stone Lodge, were to be presented to the Worshipful Master at a meeting of Grand Lodge to be held on the 5th March, 1930. This was duly effected. The foundation Stone of this Temple was laid on the 16th July, 1932, by the Right Worshipful Bro. the RT. Hon Lord Ravensworth, Deputy Lieutenant, Provincial Grand Master. The first meeting of Eslington Lodge in the new Temple was held on the 11th January, 1933. The name of the Lodge was taken from the country seat of Lord Ravensworth who was the first Worshipful Master of our Mother Lodge, Liddell Lodge No.3616. Eslington Hall is situated near Whittingham in North Northumberland, in the foothills of the Cheviots. The Lodge crest shows the Peel Tower of Whittingham on the south bank of the river Aln and thus closely associated with the Hall. This tower was first mentioned in the writings of the year 1317. Three men, apparently Scots, who had taken possession of the tower, resisted the King and were taken prisoners in the year 1318. The record states that one Robert Purvays was one of the greatest evil doers of the area and the record begged that he be hanged and drawn. The tower occupies a commanding position on the brow of a steep knoll overlooking the river and presents a most picturesque bit of Border scenery. It is surrounded by a corbelled battlement and its walls are of eight and a half feet thickness. From the slits the occupants discharged arrows and from the roof hurled stones and other missiles, while undoubtedly the attackers would pile green brushwood against the door so that, set alight, it would give off dense smoke to suffocate the unfortunate inhabitants. The tower was restored in 1845 and converted into an almshouse for four elderly couples, each receiving a pension of £10 per annum and a supply of coal. There are several Masons Marks on the stones of the building. 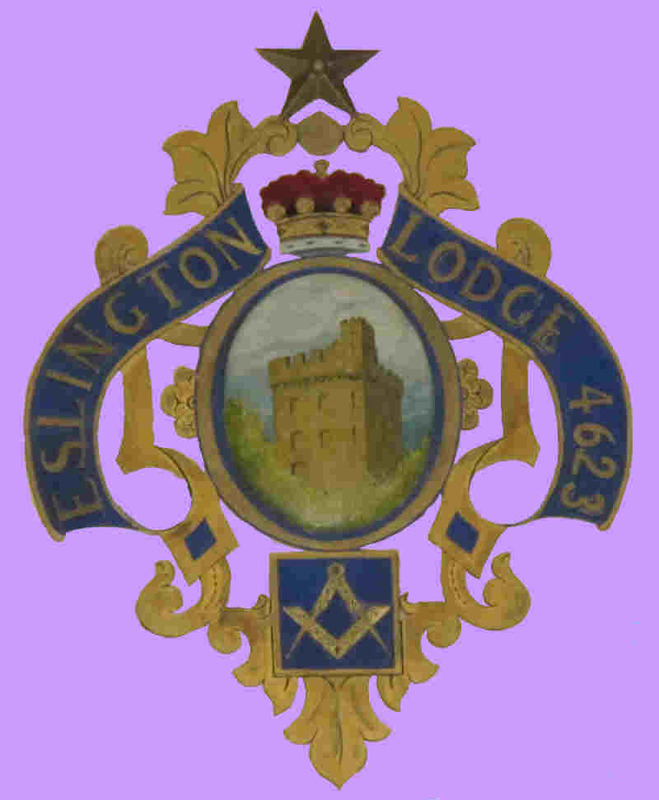 Eslington Lodge of Instruction was formed on the 30th October, 1944, the first Preceptor being Wor. Bro. R.W. Dixon of Eslington Lodge The Masonic Interest of the first Worshipful Master of Eslington Lodge, Wor. Bro. Lt. Col. James Woodbury Thompson, were so widespread that it was felt they were worthy of inclusion in the Golden Jubilee Booklet. In fact, his forefathers date back to the founding of Lodge No. 132 at Winlaton in the year 1717, which lodge was the first in our area and which eventually became known as Lodge of Industry No. 48. His Great-Great-Grandfather, Wor. Bro. Cuthbert Thompson was Worshipful Master of Lodge No. 132 in the year 1798. Since its inception Eslington Lodge has continued to foster the principles and tenets of freemasonry and each generation can make the proud claim to have handed to successors the traditions o four Order “Pure and Unsullied”.